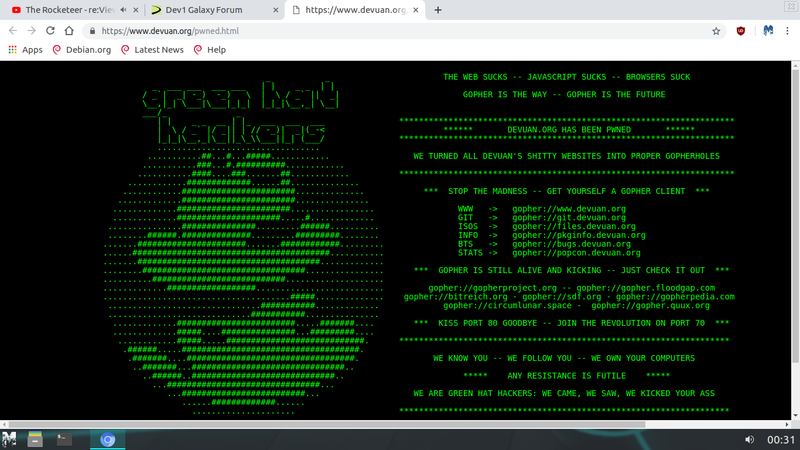 » Forum has been hacked??? Re: Forum has been hacked??? It's not forum - it's main site of the project. That's right. It's a joke. Making your own website look like it was hacked is not a joke. I wonder how many people it made wonder if their system or browser was compromised after visiting this "joke"? Not funny and may cost Devuan current and future users. Friends, relax ... after all, it was just a small innocent joke.